The BioBot 3D bioprinter is capable of 3D printing human tissues and could eventually be used to print human organs for organ transplants. Researchers at Michigan Tech University (MTU) recently acquired this bioprinter. They hope to use it to create synthesized nerve tissue. All they need is the right ‘bio-ink’ to make this dream a reality. Researchers plan to develop the ‘bio-ink,’ or printable human tissue, to help regenerate damaged nerves for patients with injuries. The nano-material could even help regenerate damaged nerves for patients with sensitive spinal cord injuries. 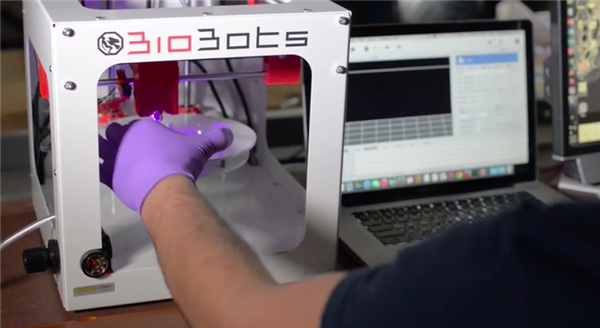 The BioBot printer is a 12×12 inch desktop device that costs $5,000, significantly cheaper than the bulky equipment in full-scale research labs. Though, the second-generation version of BioBot sells for $25,000 which is currently available for pre-order.